With the month of October and Halloween on the way, there is no better time to have fun with a unit on monsters than now. 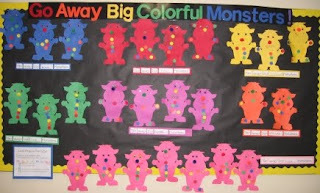 I just found the cutest ideas for a monster unit and party on Mrs. Lee's blog. Deanna Jump has a really cute monster glyph on her September page. 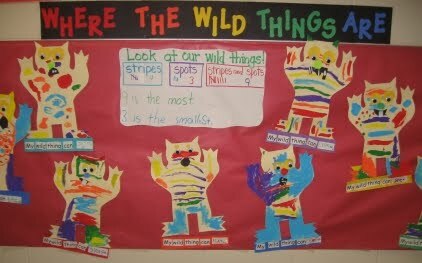 Deanna also has a cute Where the Wild Things unit. 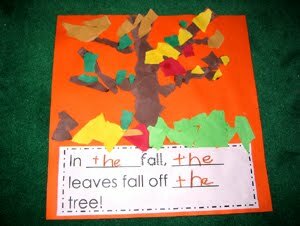 If you go to my CAMT post, you will find a picture of my Go Away Big Green Monster class book and a link to the instructions for cutting the pieces. 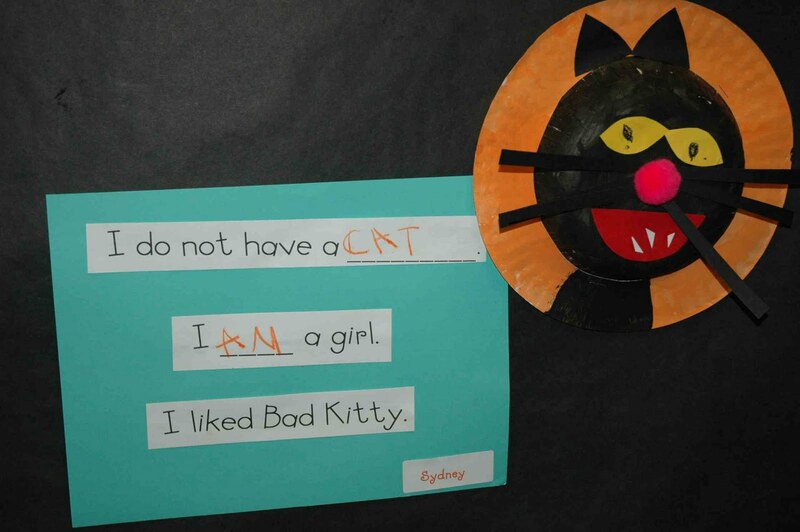 I love the book Bad Kitty by Nick Bruel. There are also several chapter books in the series now. Bad Kitty Gets a Bath is my favorite. I found this glyph from the Overall Success web site. You can get the instructions and words for the Bad Kitty glyph as well as the resources for a Halloween costume class book, pumpkin activities, and a haunted house I spy activity from Deanna Jump for $4. 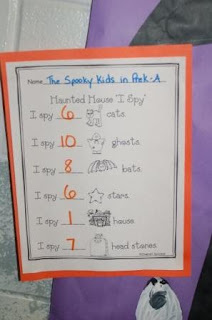 From Shari Sloane's graphing activities. She also has several ideas and PDF's for graphing with Halloween cereal and Halloween marshmallows. 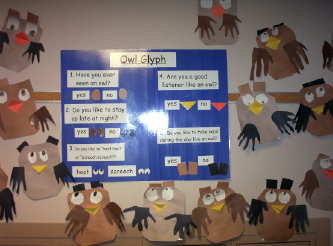 From Shari Sloane's glyph activities. From the Overall Success web site. From Deanna Jump's web site. Five Little Pumpkins from TLC Lessons. 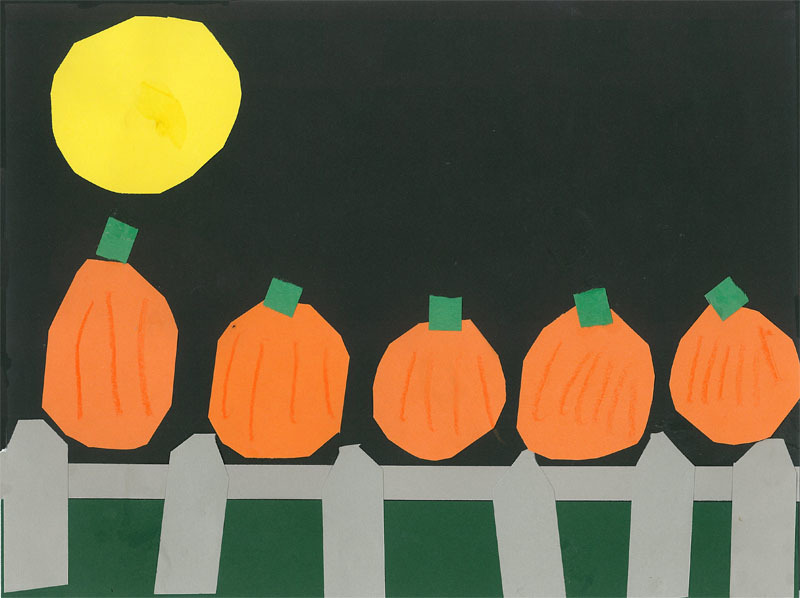 They also have directional art for the life cycle of the pumpkin, a scarecrow, and many other fall related objects. These ideas came from Kim Jordano's web site. I came across a song listed on Deanna Jump's Teacher Downloads that I wanted to share with everyone. It goes perfectly with the word helper sign Stretchy the Snake. It is Jack Hartmann's song Stretchy the Word Snake from his CD Alphabet Zoo. Go to Deanna's Downloads and you can purchase a copy of the book she made to go with the song for only $2. 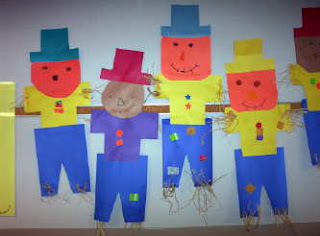 If you are a kinder or first grade teacher in Texas, then one of your social studies TEKS is to help students understand and identify ways and examples of the uses of technology in the home and school, as well as describe how household tools and appliances have changed the ways families live, describe how technology has changed communication, transportation, and recreation, and describe how technology has changed the way people work. 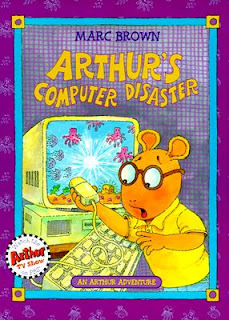 I saw this lesson on technology this week. 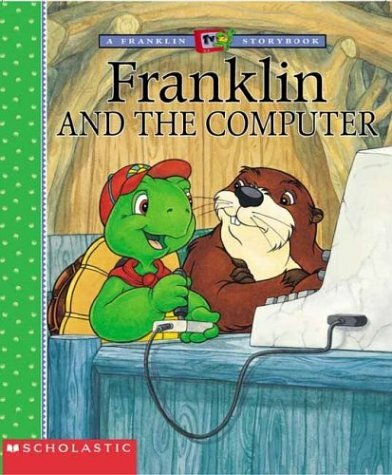 The teacher read the book Franklin and the Computer. Then they made a circle map showing the types of technology they find in their homes. 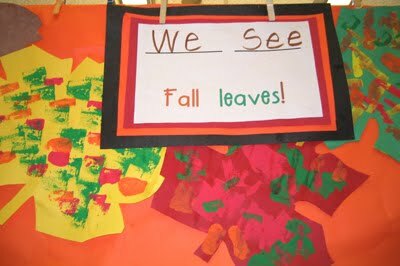 Students ended the lesson by drawing a picture of themselves using technology and writing a sentence about the technology in their home. 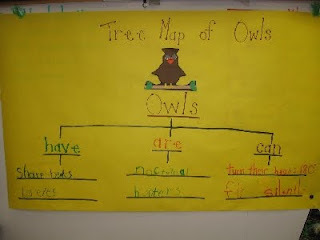 You could also use tree maps to have students show technology in the different areas or a double bubble map or venn diagram to make comparisons between them. 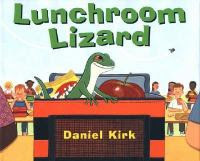 A teacher friend of mine used the book Lunchroom Lizard to celebrate the Letter L and its sound. I saw this simple idea in a classroom this week. It is an anchor chart showing kids words to use when they want to write a question. 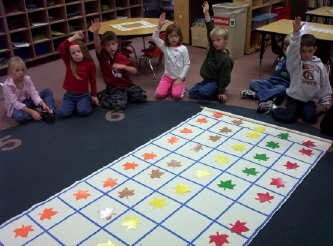 This week, I taught a lesson to a kindergarten class on AB patterns. 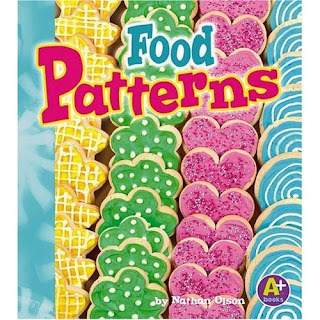 I read the non-fiction book Food Patterns and we made patterns using fruit. I had the students make the patterns across their plates first. After I checked them, they moved their pattern to the wooden skewer. We discussed what the skewer was for and how to use it before starting so no one tried to stab anyone or use the skewer inappropriately. I placed a plate of fruit in the center of each table so they were able to make several patterns. 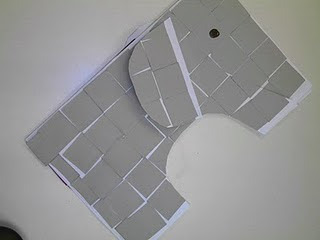 The kids loved the lesson and did a great job making patterns. 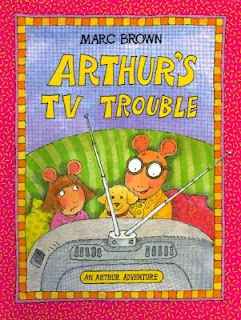 There is a whole set of books in this series. Go to Amazon to see the others. Heidi Butkus has a great CD for teaching math concepts. 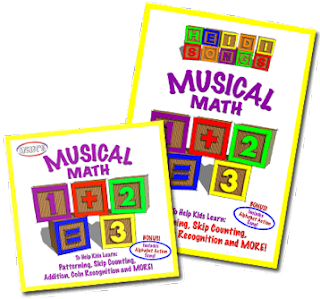 It is called Musical Math. The CD has several songs with motions about patterns on it. Deanna Jump has a new product for download that I love! 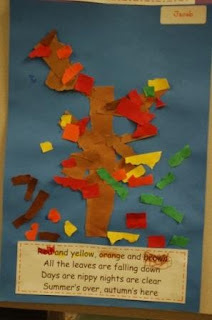 It is literacy and math activities that go with the book Pete the Cat by Eric Litwin. 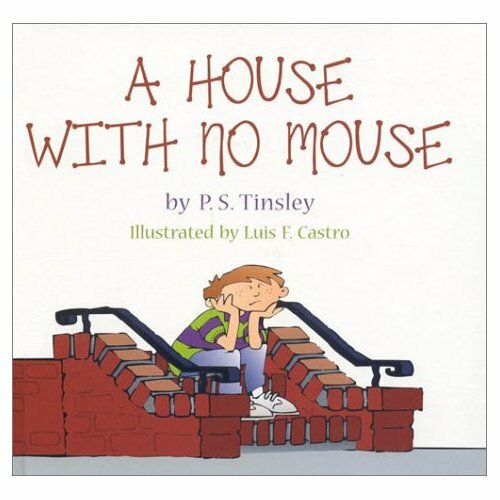 You can purchase the book at amazon for $11.55 new or $6.43 used. You can download the song Pete the Cat from HarperCollins for free. You will love the song!! It is so cute! You can download Deanna's lessons for $4.00 from Teachers Pay Teachers. The lessons include a pattern for making Pete the Cat, text to self connections, story elements, sequencing, cut apart sentences, and math journal prompts. 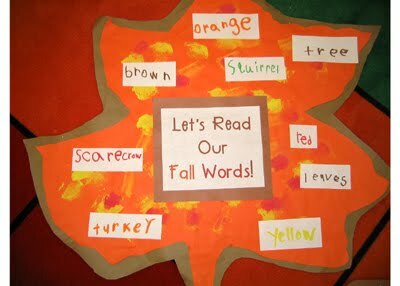 You will love the lesson ideas!! You can watch a video of the author singing the story on You Tube. The book and unit are definitely worth their cost!! 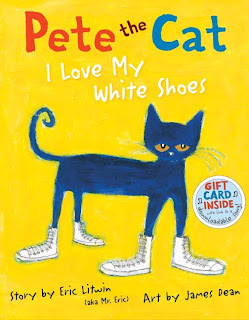 Deanna has given me a copy of her Pete the Cat unit to give away to 2 lucky teachers!! 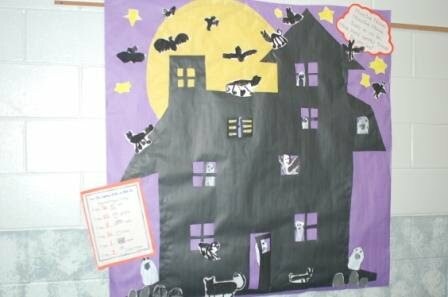 To enter the give away, go to Deanna's web site and search through all of her ideas. Find something you like and share a way to extend the idea through a comment to this post. Don't forget to leave your email in your post. Everyone who shares an idea will be entered in a random drawing. The contest will end at midnight on Sunday, September 26th. I will announce the winners on Monday, September 27th. Good luck! 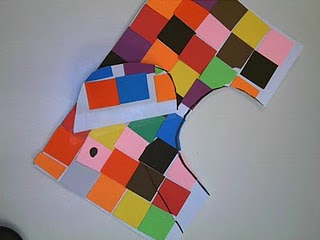 I saw these mosaic elephants today on Mrs. Lewis' Put Your Whole Self in Blog- so cute!! What a great follow up to a lesson using the book Elmer. 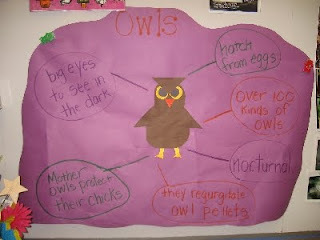 I got to go into a kindergarten classroom this week and teach a lesson. It was so much fun!! 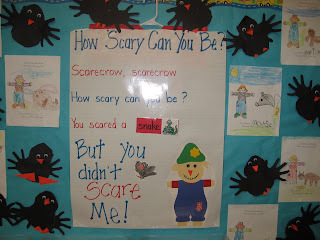 We made a riddle book and worked on drawing self portraits. I took dictation from the students because I was not familiar with their routines and abilities. If I was with them all of the time, I would have had them fill in the blanks themselves. 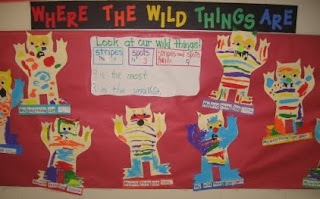 If we were farther into the year, I would have added the line "I like ..."
Mrs. Lasater used Eric Carle's book From Head to Toe to make this class book. The first grade team at Moseley had kids bring in a pair of socks to practice counting by 2's. Then they made and numbered a clothesline of socks down their hallway. I visited my old teammates this week and found this cute idea for counting with m & m's. I just found this really cute idea for a name wall from Mrs. Pedersen's Growing Kinders blog. You can place a picture of each child's face in their car.